Tired birds rain down from the sky! If you're near High Island, Texas in the spring, you might witness a "fallout," one of the great spectacles of bird migration. 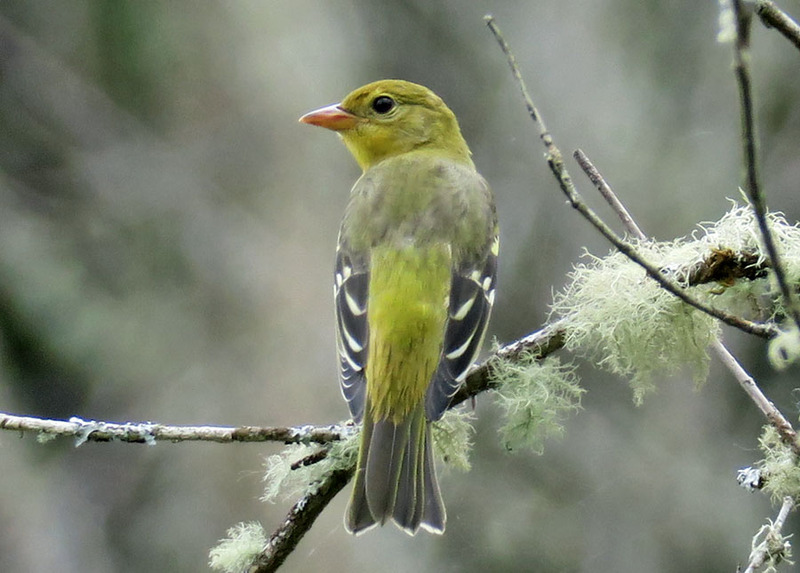 Thousands of birds, including Rose-breasted Grosbeaks, orioles, Painted Buntings, and warblers of all kinds, as well as tanagers and Indigo Buntings, like this one, drop from the sky. They've just flown non-stop across the Gulf of Mexico, covering 600 miles in about 15 hours. Exhausted and hungry from bucking the storm, they land at last. High Island Migration – Fallout! It’s been raining hard for hours, but at last the mid-April sky begins to clear. [Rain begins to abate] We can almost see the Gulf of Mexico from where we’re standing -- a quarter mile from the Texas coast, at the edge of a stand of oak trees. The rain has finally stopped, but now something else descends from the sky. 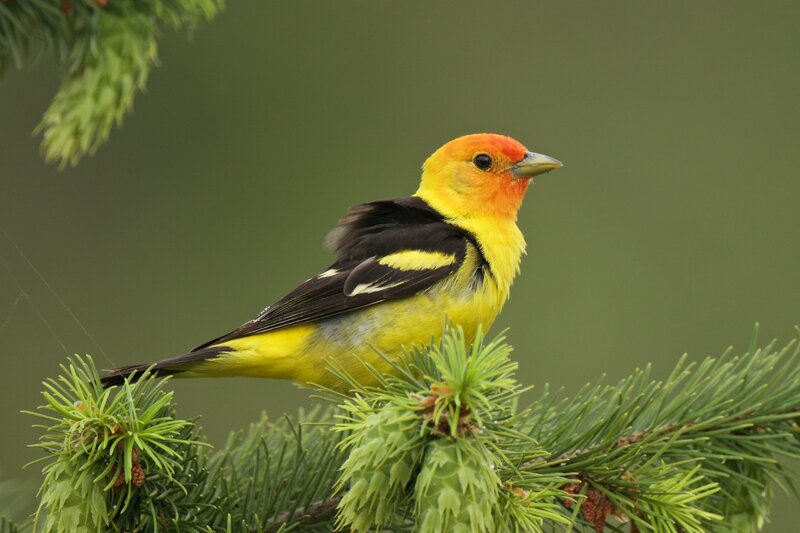 [Songs including Rose-breasted Grosbeak and Orchard Oriole]. Birds! Hundreds, thousands of birds! Rose-breasted Grosbeaks, [Rose-breasted Grosbeak] Orchard Orioles [Orchard Oriole], Painted Buntings [Painted Bunting], warblers [Yellow-rumped Warbler]… Flock after flock, they alight in trees and shrubs. 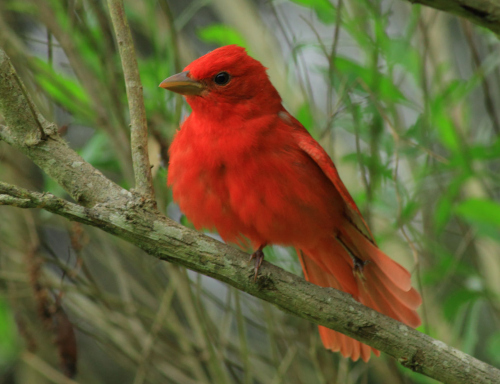 ... Sparkling Indigo Buntings perch alongside velvety Scarlet Tanagers [Scarlet Tanager]. 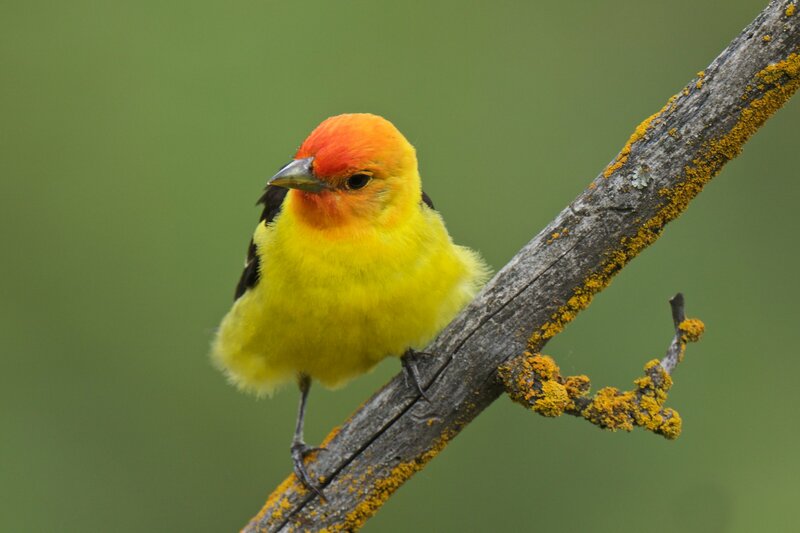 We are experiencing what birders call a “fallout,” one of the great spectacles of bird migration. The legions of birds dropping from the sky have flown non-stop across the Gulf, covering 600 miles in about 15 hours. 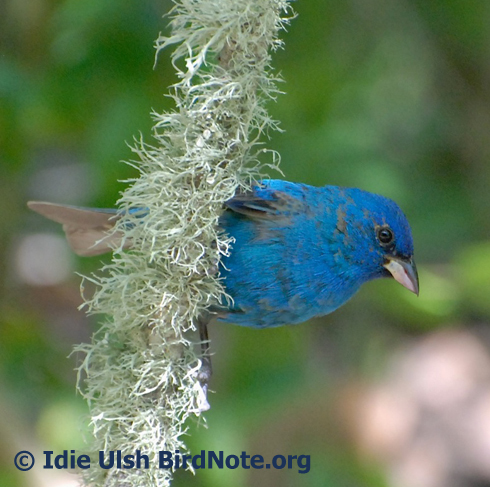 [Indigo Bunting and Orchard Oriole] Exhausted and hungry from bucking the storm, they land at last in tree-filled sanctuaries near the town of High Island, Texas. The birds will refuel and then fly north to breeding grounds across the continent. Isn’t it lucky for the birds that people have conserved habitat for these famished and weary travelers. [Rose-breasted Grosbeak and Orchard Oriole]. Bird sounds provided by The Macaulay Library of Natural Sounds at the Cornell Lab of Ornithology, Ithaca, New York. Rose-breasted Grosbeak 53163 recorded by S.R. Pantle; Orchard Oriole 40765 by G.F. Budney; Painted Bunting 105245 by G.A. Keller; Scarlet Tanager 73937 by G.A.Keller; Indigo Bunting 73948 G.A. Keller; Yellow-rumped Warbler 104566 G. F. Budney.